Current four-cylinder and hybrid technology simply isn't good enough for BMW M cars. Some of the best BMW M3s were powered by rev-happy four-cylinder engines without the aid of turbocharging, like the 4.0-liter, naturally-aspirated V8 that lurked under the hood of the E90 M3 in the 2000s, but we haven’t seen a four-cylinder BMW M car in a very long time. You can blame strict fuel emissions regulations for that, as BMW has had to downsize its engines to comply. According to an interview with Car Advice, that trend looks set to continue, despite old rumors that four-cylinder engines could return for the next generation M3 and M4. There’s another factor, however – modern four-cylinder engines don’t meet the high expectations of BMW’s M performance division. These sentiments were put forward by BMW M division chief Frank van Meel during a media event in Munich. “We are really happy with our 6-cylinder [engines] because for BMW and BMW M that is our heritage engine,” he said. “We started with 6-cylinder in the M1 so it has a long history. BMW is a 6-cylinder inline company and, for us, it’s an iconic engine.” Has he forgotten that original E30 M3 featured a 4-cylinder engine? He went on to say that current four-cylinder technology doesn’t blend well with the setup of BMW M cars. 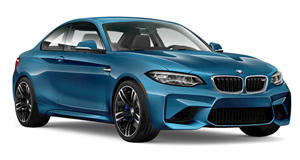 If you look at it with a four-cylinder, I don’t see characteristics that I would like on an M car, on a small displacement turbocharged four-cylinder engine,” he said. “I wouldn’t do a four-cylinder standalone turbocharged with high performance, because you always have the characteristic that if you want high performance you lose the low-end torque and you lose the overall drivability you want to have from the car." It’s no secret that future BMW M cars will adopt hybrid and, eventually, fully electric powertrains in the future - but not until the technology has evolved. “With the current generation we see ‘E’ motors that are still not strong enough for M applications,” he said. “If you look at plug-in hybrids, it will add 200-300kg – which, for a car like an M3/M4 with 1500 kg – would put that completely out of balance and we couldn’t rebalance that towards a typical M philosophy.” Once the technology has been further developed, this could allow BMW to bring back the four-cylinder engines older M cars were famous for, since it would solve the initial lag and lack of torque you get from a turbocharged engine. However, this setup also has its drawbacks. “Electrification would help because low-end torque is done with electric motors,” he explained. “On the other hand, you are putting a lot of weight into the car, so that answer is not so easy." To say ‘just do it’, you lose the motorsport topic of power-to-weight ratio which is very important with overall weight.” He added that BMW’s M division is working with BMW's i electric-car branch to look at the next-generation of battery cells and assess if the weight, power, density and range will be suitable for a future M car. “Today is not the right time,” he concluded.